I really love your project! 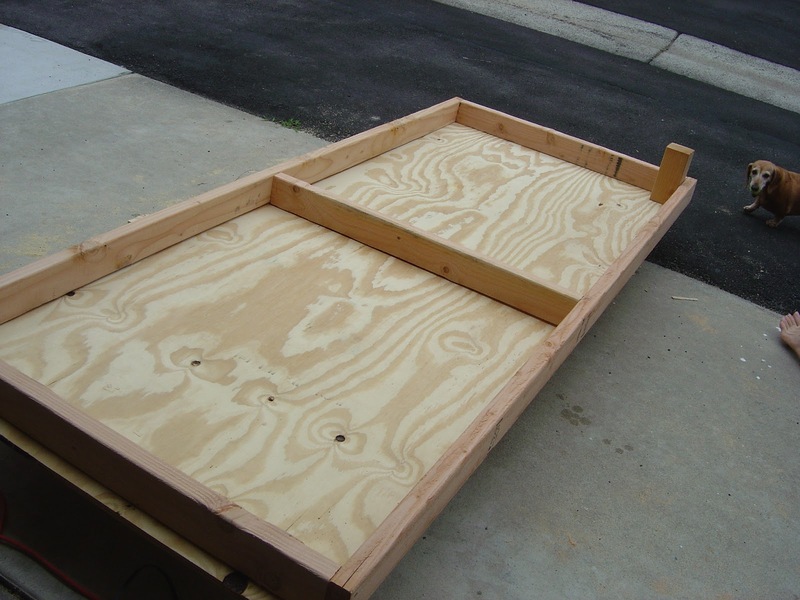 Can you tell me if you used one piece of plywood for the top or if you cut in half? in picture # 1 (the one with the dog) it seems as one piece, but in picture # 2 (where it is sitting on newspapers) it seems you have 2 pieces. Thank you! Oh! also would you mind sharing where you got the foam for the mattress? ( I also live in Southern California, LA area), I have been researching for a while now, and it seems that the standard depth of a roll of foam at Joann's is 24" deep. All the custom cuts I found online are a bit expensive. I was planning to do a sectional so I'll end up cutting anyway, but 24" deep is a little too shallow to be comfortable. Thank you! Thank you! Thanks for the Inquiry! 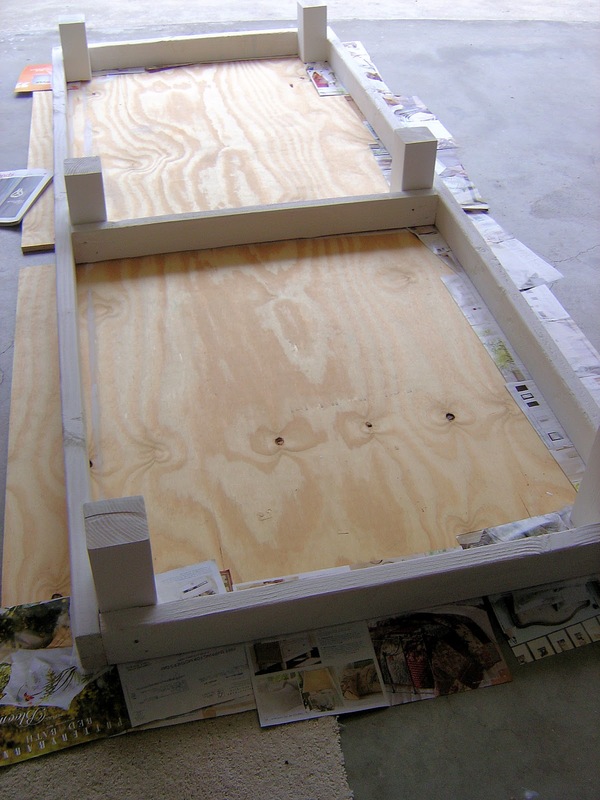 I/We used 1 sheet of 3/4 plywood (good on one side-.....most lumber yards call it 4x8x3/4"AC Plywood). 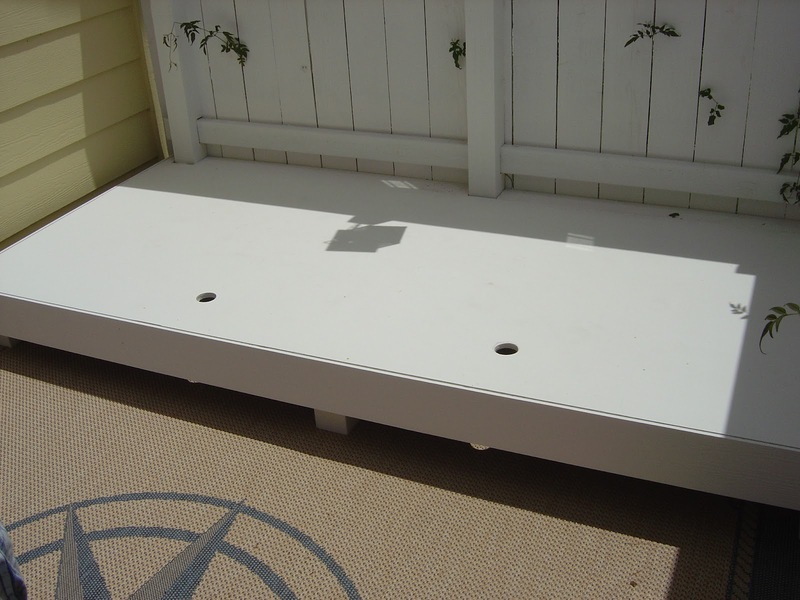 Purchase your foam at a Canvas Shop or GOOGLE Foam Rubber online. There are a ton of places you can order from and at a reasonable price. Do not buy it at JoAnns because they are limited by size and thickness and you end up spending your money on a piece of foam that isn't quite right when you could search the internet and find an upholsterer in your area that can get you EXACTLY what you need! They can show you thicknesses and have it cut exactly to your dimensions! I purchased regular interior foam because of the price. My fabric was Sunbrella (which is an exterior fabric)Exterior foam let's the water go right through w/o rotting but very expensive. Also, just bring your cushions indoors when it rains, which is not much here in So Cal! I hoped all this helps... email me again I would love to hear and see how your project turns out! Thanks!